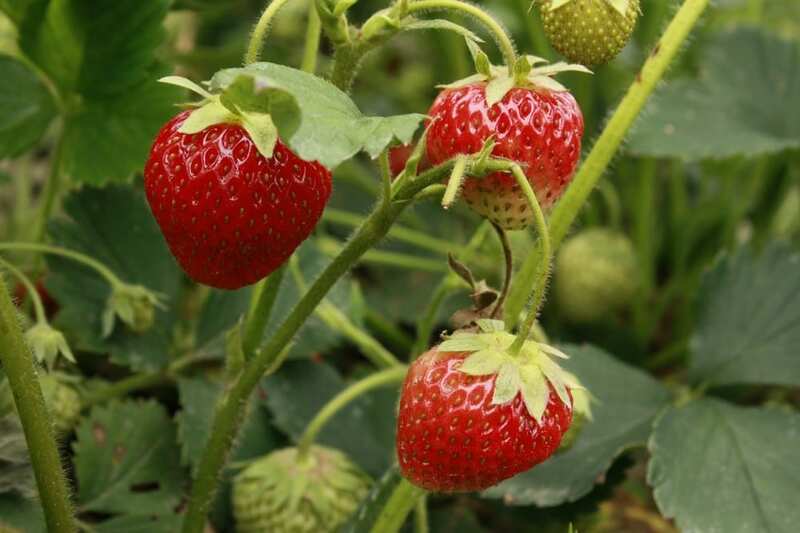 Create Fun Family memories by taking your family to one of Alabama’s local U-pick Farms. Our climate in Alabama allows for so many great farming options. There are a number of these farms that allow an opportunity as a U-pick farm. Get the family together and packed and ready to head out to one of the local U-pick farms to enjoy a great day and create memories together. The fun only begins at the farm because you get to enjoy the harvest when you return home. Then you can bake some great pies, enjoy ice cream toppings and so much more. 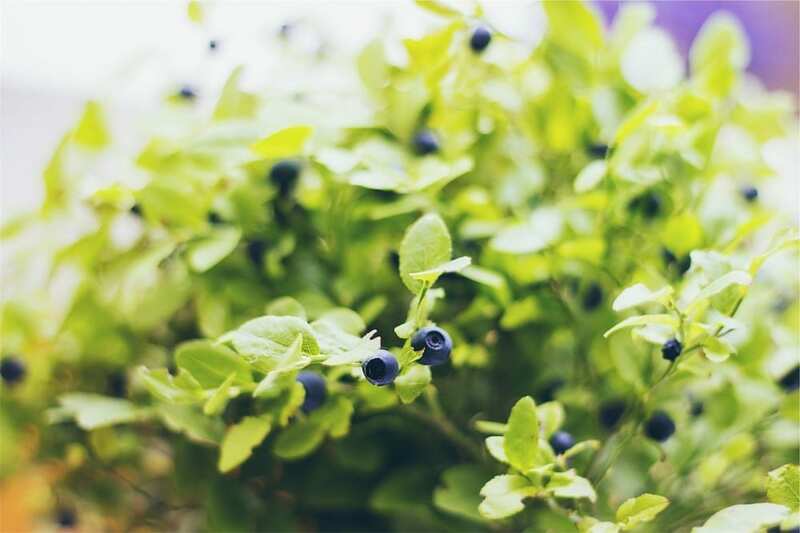 Here are some of the options to choose from: strawberries, blueberries, muscadines, blackberries, and grapes. So, what are the best tips for a family outing to a U-Pick farm? Know your seasons! Plan to pick your produce when it is in its peak. I didn’t know anything about when particular fruits are at their peak when I first started, but I learned the farm operators were delighted to answer my questions when I called. They could tell me the best weeks to plan to pick. Get the scoop! Call your chosen farm in advance for details. They can tell you when the produce will be at its best to pick, hours of operations, costs, and directions. Compare pricing – not all farms price the same way, and some deals are better than others. Also, ask if in addition to U-Pick, if they also have produce ready for sale – you just may want to bring back more than you pick! Pack for the outing! Since most of the picking takes place in the “Alabama hot months,” take plenty of water with you. I always like to pack a small cooler with water and “kiddie drinks,” like juice boxes. Snacks are always a must. Not all U-Pick farms have snacks. Also, if the weather is not too hot, a picnic lunch can be a lot of fun, too. TAKE BUG SPRAY or your bug repellent of choice. Also, think about sun protection and take sunscreen, big hats, and sunglasses. If your children are smaller, a pull-along wagon is nice, but not a must. Some farms even have loaner wagons to use. I always travel with a first aid kit in my car – there have been times that a squirt of antibacterial spray and pretty bandaid have saved us hours of tears. Pull out the Rand McNally or whatever newfangled mapping/GPS gadget you have! Seriously, do make sure you know where you are going before heading out. Getting lost with a car full of small children can be less than fun; not that I would ever admit to knowing this from personal experience. Make sure you have a full charge on your cell phone and a full tank of gas while you are at it. Beat the heat! Plan to pick as early as possible in the morning – the earlier the better. Know your audience! 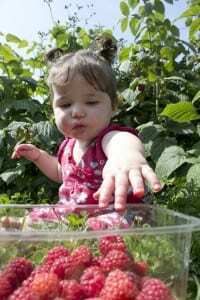 Smaller children love to pick, too, but may not maintain their zeal for hours of picking like some older children. When my children were smaller, their attention span for picking lasted only about an hour. Instead of prolonged misery in the heat with whiney children, we packed up and called it day when they had reached their max. We also bought extra produce at check out so we would have some to freeze for the winter. Bring home a HARVEST! 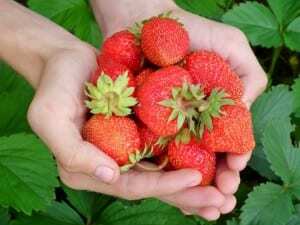 Plan to pick and/or purchase enough fruit to enjoy now and some to freeze, can, o r preserve. Freezing berries in particular is very easy. Just flash freeze them in a single layer on a pan in the freezer. Once frozen dump into quart size Zip-lock freezer bags. You are set for months of smoothies, pies, pancake toppings, and more! Just remember to take care of your harvest before it begins to spoil – I usually freeze the day after picking to preserve all the yummy goodness. Celebrate the harvest! My over-planning, perfectionist, Type A personality had to learn that younger eyes may not always see the fruit the same way I do. Children often have a different outlook on what the best fruit to pick looks like – most often it is what they can reach. I’ve learned to celebrate what they have so joyfully worked hard to pick. 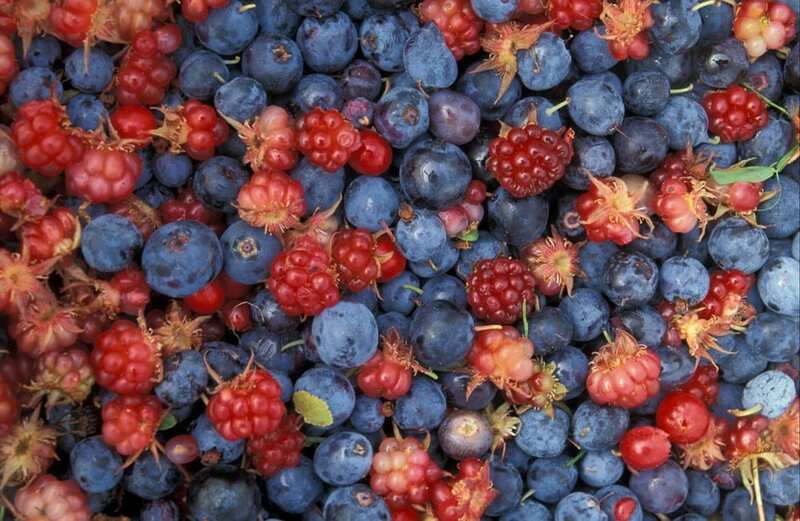 In the past we have ended up a few less-than-ripe berries, a bug or two, and some berries that were already “pre-smashed” for jam making, if you know what I mean. The point is my children had lots of fun and were proud of the work they had done and they want to celebrate the “fruits” of their work – smashed berries and all. Pre-picked for $20/gallon. Delivery to Alabaster/Montevallo/Pelham area. Picking times by appointment are mornings 7-11 or afternoons 3-6. To schedule a picking time please call 915-2932. Go Thru Montevallo. Go to end and you will see Foodland. Turn Right on Hwy 25. Go 3 miles. Turn Left on Hwy 139. Go 3 miles. Turn Right on County Road 2. Go over RR tracks. Turn right into 2nd Driveway. Go end of the driveway. Tell us, what are your favorite U-Pick locations and tips? Click here to download the 2019 media kit for Birmingham Fun and Family Magazine. Alice in Wonderland is the show you won’t want to miss this summer!